At the Office for Undergraduate Research (OUR), we believe that students who experience inquiry and discovery during their college careers are better prepared to address future unsolved problems and to assume important roles as enlightened citizens and leaders. This belief is a major inspiration for our vision, which is a university where all undergraduate students have the opportunity to participate in research. A key aspect of fulfilling this vision rests in removing financial, social, and/or cultural barriers, so research can become a central feature of the undergraduate experience for all students at UNC-Chapel Hill. Therefore, our mission is to facilitate and enrich undergraduate research opportunities at Carolina. Inclusiveness – we strive to facilitate undergraduate research opportunities for all disciplines and members of the Carolina community. Quality – we strive to provide the highest quality programming in support of undergraduate research. Collaboration – we strive to engage partners across the Carolina community to support undergraduate research. The opportunities to make undergraduate research a seamless part of the culture at UNC-Chapel Hill are plentiful and exciting. We welcome your continuing input, and encourage you to contact us at our@unc.edu. Mentored research programs: Stimulate and fund opportunities for UNC-Chapel Hill undergraduates to engage in mentored research with faculty at UNC-Chapel Hill and around the world. See Summer Undergraduate Research Fellowships, Undergraduate Research Consultant Teams and the Research Opportunities Database. Instructional programs for undergraduates: Promote high quality undergraduate instruction to students through courses that expose undergraduates to different modes of inquiry (e.g. IDST 194, IDST 184), and encourage the development of opportunities for undergraduate engagement in innovative research, creative expression, and entrepreneurial endeavors (e.g., GRCs). See Find Research Courses and Graduate Research Consultant Program. Program Evaluation and Analysis: Analyze and synthesize current data on participation in undergraduate research across the university and present it in a user-friendly format. See Publications. 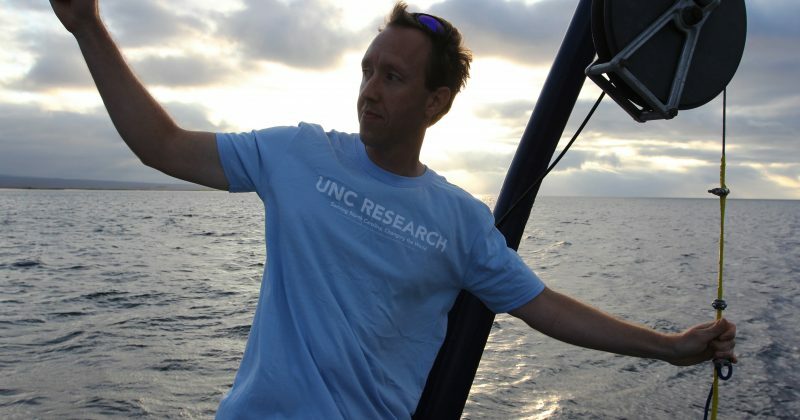 Outreach: Develop and maintain collaborative relationships with faculty, staff and students throughout UNC-Chapel Hill and communicate results of research by undergraduates to the UNC-Chapel Hill and broader North Carolina communities. See OUR Ambassadors, OUR Department Liaisons, and Share Your Research. Grant Development: Facilitate the development and administration of grants for faculty advisors to promote mentored research with undergraduates and inquiry-based teaching methods (e.g., GRCs, flipped classrooms). See Beckman Scholars Programs.